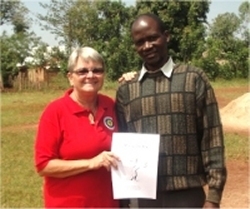 "Africa Moringa training Moringa plantations growing moringa for the africa child sponsorship programme feeding the African children in DR Congo Uganda Tanzania Malawi Zambia Nigeria"
Jenny Tryhane, founder of UCT and Director of the Africa Bureau of Children's Discipleship introduced an African Community Moringa Project into numberous schools and churches in preparation for establishing Food for Life - Africa. 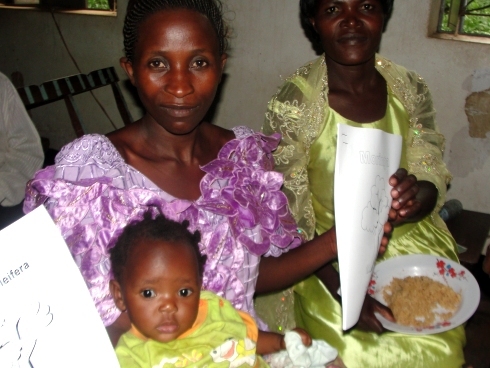 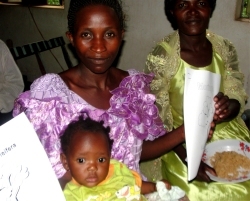 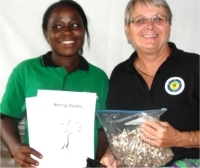 The African Community Moringa Project was introduced to the teachers in Busia school, in eastern Uganda. 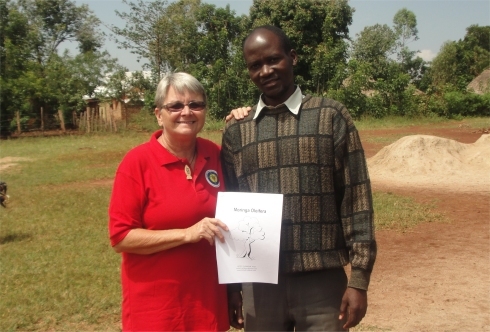 Seen here Lisa and the Head master of this school.
" 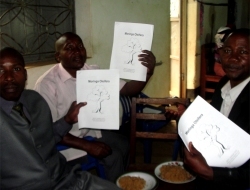 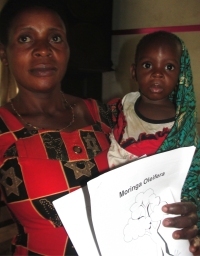 27 churches and 20 schools have been introduced to Moringa and also 13 PowerClubs have planted Moringa since your Moringa training"
From Uganda to Tazania to the Tunduma ATBS where educational handouts were given out as well as children's Moringa colouring books in Swahili to the Pastors as well as English versions to the Zambian Pastors present. A small selection of seeds were handed out to enable the teachers to establish mature Moringa trees to build up seed stock. 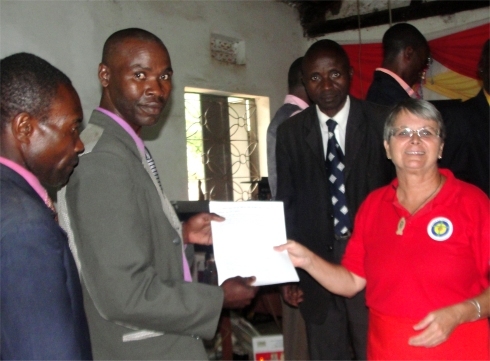 To supply the churches and eventually the schools in this region. 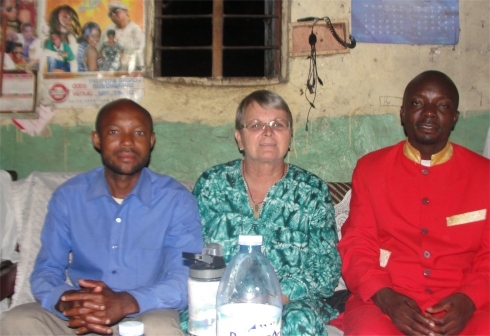 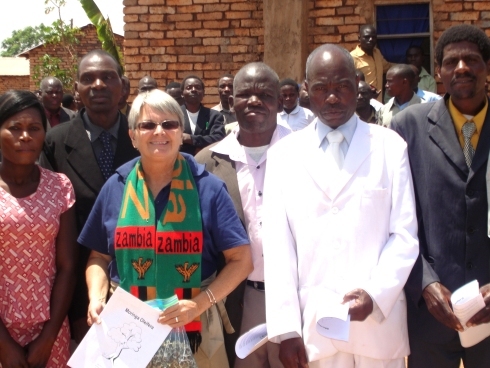 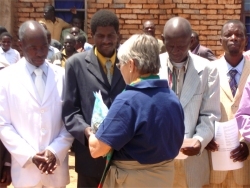 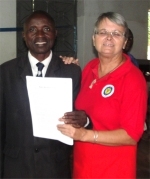 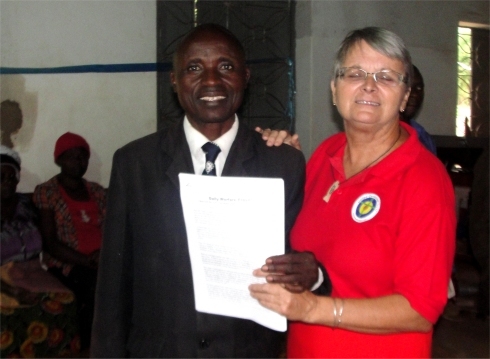 Seen here Jenny distributing to the Zambian Pastors. 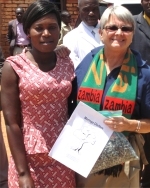 Our Mission team treveled down to Malawi where the Moringa program was introduced. 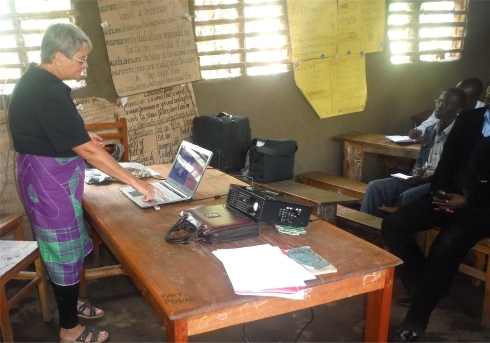 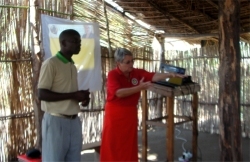 Jenny doing a teaching in Uluwa Africa Training Bible School. 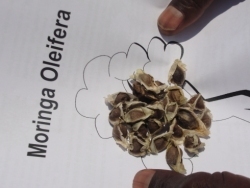 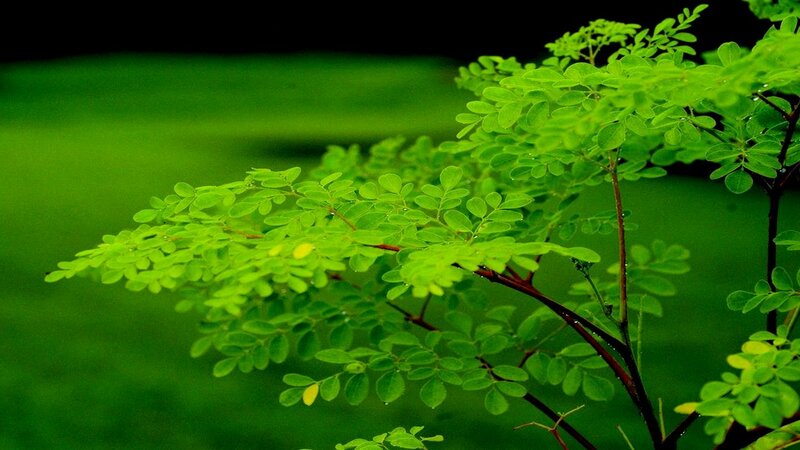 The Moringa project was seen as a positive step towards end time food security and many of the Pastors were farmers and excited about this information. 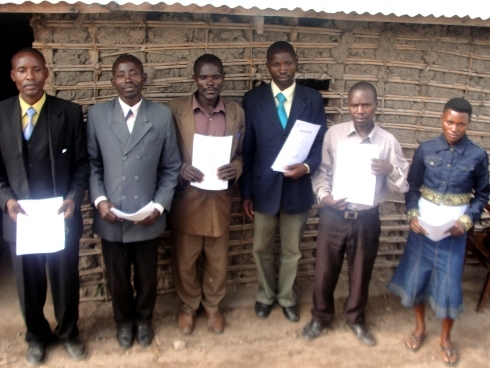 Seen here some of the many Pastors that attended the Kasese Seminar.